Originally, it was a Gothic building with corner towers guarding the road and the bridge over the Laborec river. The Renaissance reconstruction followed by the Baroque adaptations changed the overall appearance of the manor house and the Classicist style was applied giving it the final touch in the 19th century. The distinct architectural element of the facade is the arcade with balcony at the first floor. In its park, the easternmost situated rotunda in Slovakia from time of the Great Moravian Empire was discovered. 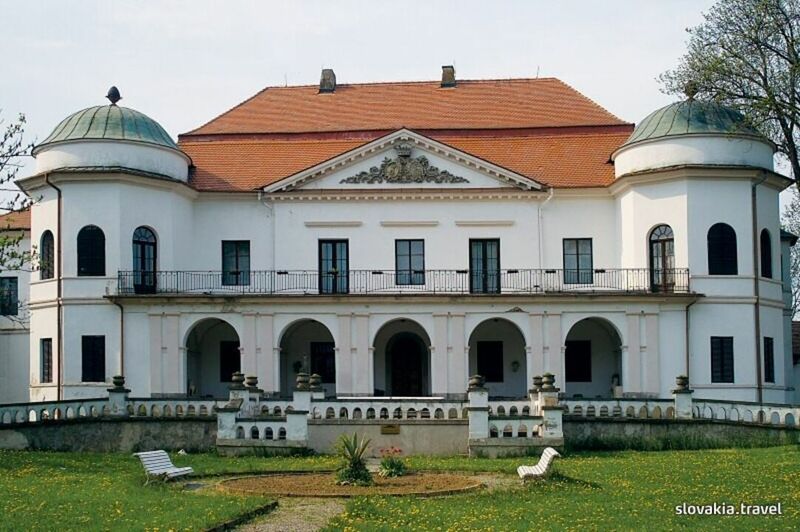 The manor house now gives shelter to the Zemplínske múzeum (Museum of Zemplín), which documents the developments of nature, society and arts of the region since the oldest time to the present. Very valuable and unique item is the Bronze amphora with the oldest picture of a two-wheel cart in Central Europe. Ethnographic collection displays the products of the Pozdišov pottery.